Always identify the Use Class before ordering. Ask your supplier to verify, in writing, that your wood has been treated to the specification you require i.e. on the delivery note and invoice or as a separate treatment certificate. When buying treated wood from stock always get the supplier to verify, in writing which Use Class it is suitable for. Never substitute wood treated for an indoor Use Class for an external Use Class – failure is inevitable. Use Class 4 is the level of treatment required for components in direct ground contact. 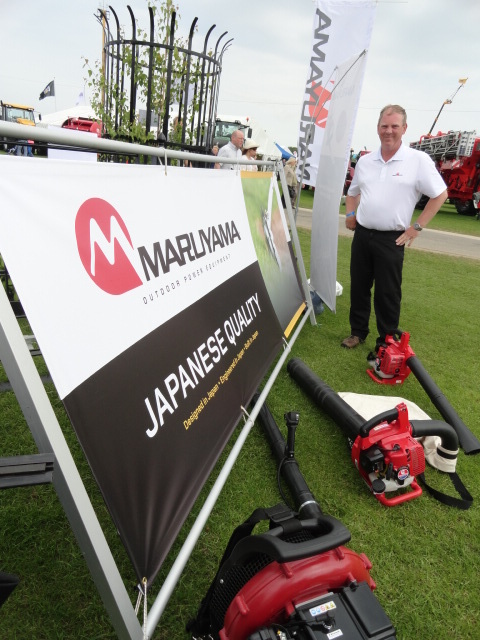 Anything less and service life, structural safety and customer satisfaction will be compromised. If third-party reassurance of fitness for purpose is required ask for components certificated under the WPA Benchmark quality assurance scheme. Always buy a can of end grain sealer compatible with the treatment preservative for re-treating wood that is cross cut, knotched or bored during installation. Fence posts, deck posts and joists, sleepers, pergola posts, bridge and board walk support, earth retaing walls. For more detailed specification guidance about treatment and the different types of preservatives available the Wood Protection Association (WPA) publishes a Manual of Industrial wood preservation –specification & practice. 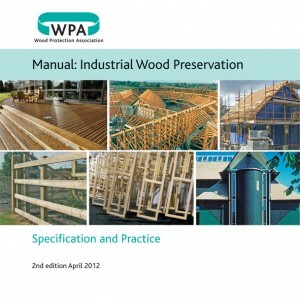 The Manual of Wood Preservation is the essential guide to specifiying and using treated wood correctly for its end use. The Wood Protection Association (WPA) is a not for profit technical and advisory body interested in the development and promotion of timber protection technology to support the use of wood as a cost effective, sustainable construction material. 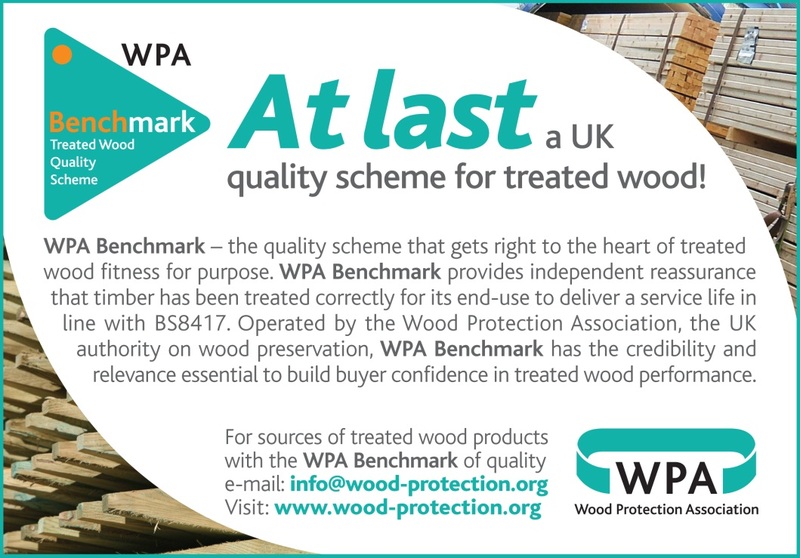 The WPA operates the Benchmark quality scheme for treated wood which provides third party verification that a treated product will perform in line with British Standard desired service life requirements.